With the privacy concerns and bad press that Facebook has been receiving lately, a number of people are considering jumping ship. They dislike the way Facebook does things and desire something different...but what? Truth be told, Facebook is somewhat unique in that it's a one-stop-shop for all the services it offers. Any alternatives will inevitably be a list of other services instead of one website. That may actually be a good thing when it comes to data preservation...not storing all your eggs in one basket. 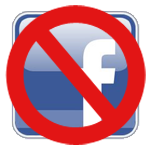 This post is for all of you who want to leave (or severely reduce their use of) Facebook. All those who want somewhere else to go but don't know where to start. This one is easy: Twitter or Buzz. Neither is likely to net you the audience you have with Facebook (at least not right away), but both are superior services in their own right. Twitter forces status updates to be 140 characters, which means people have to put more thought into each update. This actually results in smarter, more worthwhile updates and makes the service considerably more useful. There's nothing confusing about Twitter, either. It's simply the status update box and your list of followers. Getting started is easy, as is finding your friends already using it (there are probably more than you think). Buzz has the advantage of being already integrated into Gmail. If you're a Gmail user, it literally doesn't get any easier. Buzz puts no limits on the length of your updates, and has very easy buttons for adding links or pictures to your posts. Pictures can even be viewed fullscreen in a nice slideshow. Buzz also has threaded replies like Facebook, which allows for much easier conversations than on Twitter. Sharing pictures is a staple of online communication and there are plenty of services to help. Facebook has the advantage of offering free, unlimited photo storage, but they offer no easy way to get your photos back out, which is a big deal for many. Not to mention the fact that Facebook retains all license rights to your pictures. I recommend Flickr or Picasa. Flickr is the undisputed king of photography sharing on the web. It lets you license your pictures by either total copyright control, or creative commons and is excellent at letting you share your pictures with the world. Flickr's downfall, however is that it's not entirely free (their paid vs. free structure is very odd and un-user-friendly), and that it, too, suffers from lack of data portability. If you want to get your photos out of Flickr, you have to do it manually, one by one. Picasa has the great benefit of being integrated with a seriously excellent desktop photo organizing/editing program. You can upload from the application, tag faces and places, even set entire folders to auto-sync to the web when new photos are added. The web albums allow easy privacy settings (public, private, unlisted, or shared with specific people), and you can easily download entire albums if you want to get your photos back. Picasa offers 1GB of free storage with additional storage costing as little as $5 per year. Picasa also easily integrates into other Google services like Buzz, Blogger, etc. This one is the easiest of all: YouTube, king of online video. YouTube lets you upload as many videos as you want with very generous limits on file size and length. You can set privacy individually by video to either public, private, or unlisted (meaning the video is available to anyone with the link, but won't show up in search results). If you don't like YouTube, I recommend Picasa or Vimeo. Facebook's notes are basically simplified blog posts, so if you are a frequent note-writer, I recommend starting a blog. Good blog platforms include Blogger, WordPress, and TypePad. Blogger has the benefit of being totally free, whereas WordPress and TypePad both have premium paid-only options. If a full-blown blog is more than you want, I suggest you check out Tumblr. It is dead-simple to get started, has easy settings, and is very conducive to short posts. But it can also provide a powerful, complete blog platform if you want. Facebook's address book leaves a lot to be desired, and you probably already use something else already. But if not, my first suggestion would be to check out the address book of your email service. Gmail has a decent contacts management system (which can be accessed outside of Gmail at google.com/contacts) and Gmail contacts easily and automatically sync to your Android smartphone. Yahoo Mail and Hotmail also have contact management systems, but I don't use them, so can't comment on their ease of use. Like the address book, I suspect you are already using a different calendar management system. If not, I highly recommend Google Calendar. It's fast, easy, syncs with other services, and even offers offline access. Reading through this list, it's easy to see just how many various services Facebook offers under one roof. Whatever your personal reasons are for wanting alternatives, I hope this list proved helpful in providing solutions. If you have questions about any of the services listed here, or if you need alternatives to a Facebook services I didn't cover, let me know in the comments and I'll be happy to help.